It is fantastic when your students get to a level where they do not only understand insider language jokes but start making them! Lessons are no longer lessons but a genuine exchange of information, humor, thought and feelings in one specified language. 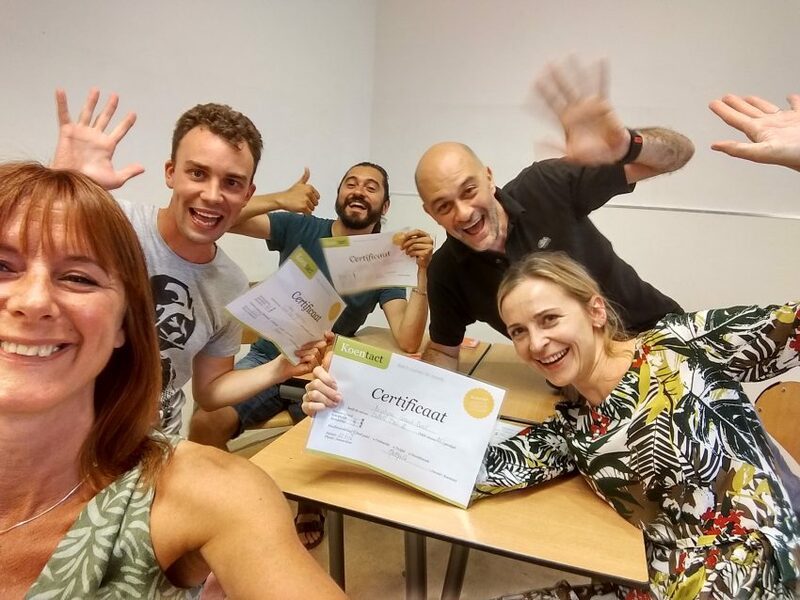 As a language teacher, it is awesome to see your students grow to these heights and become ever more confident to also try out their newfound Dutch humor at birthday parties and other social gatherings with Dutchies. The Dutch Deli courses are between levels B1 and B2; you now have the means to have a real conversation even though you might lack certain vocabulary depending on the topic but that is easily learned in that same conversation. Grammar wise you are at a level where your Dutch is better than that of most Dutch people, no kidding! The trick now is to consolidate all that you know in a fluent sounding language that you yourself feel comfortable with. Yes, you still make mistakes but that is only human and should no longer stop you from trying out your language skills in the first place.